Kerala: Aimed at improving the standard of services provided at the government hospitals in Kozhikode, a recent initiative has been taken by the District Collector and the team. This initiative takes the shape of a newly formed District Quality Assurance Committee. Going forward, the committee will be chaired by District Collector N. Prashanth while District Medical Officer R.L. Saritha is the vice-chairperson. 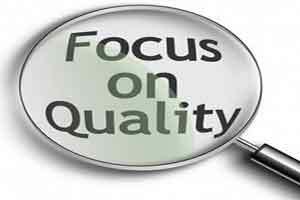 The District Collector, also heading the committee has directed constitution of quality teams in every health-care institution in the district before April 1 in preparation to form Quality Assurance Committees. While the prime objective of the committee is to ensure quality check in the entire district hospitals, its members have been chosen from respective healthcare fields to give it a wider representation. In addition, there has been a realized need to monitor the complaints on the matter of sterilisation, as a result of which, there is also a formation of a Family Planning Indemnity Sub-Committee to inquire into such complaints. As reported by Hindu, the committee consists of the Additional District Medical Officer, District RCH Officer, District Programme Manager (Health), Superintendent of the District General Hospital on Kozhikode Beach, Superintendent of the Women and Children’s Hospital at Kottapparamba and the Principal of Government Medical College. A Quality Assurance Unit has also been formed under the RCH officer to coordinate the efforts to ensure quality.